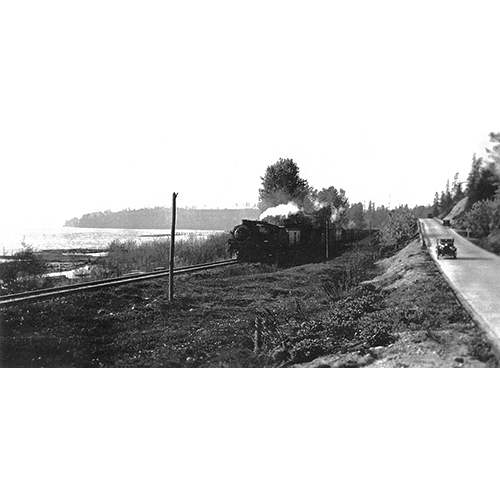 An early automobile appears to be racing the train as both travels eastward in about 1930. The scene is Bothell Way in the vicinity of 55th Avenue NE. Kenmore was a regular train stop for passengers and freight beginning in 1887 and lasting until 1941. Photo courtesy of railroad historian Daniel Cozine.